This foundation belongs to the industry and transparency is critical to that idea. Two Ten Footwear Foundation achieved four-star accreditation for organizational efficiency, accountability and transparency from Charity Navigator, an independent charity rating group for nonprofits in the United States. “Two Ten helps improve shoepeople’s lives. Our commitment and dedication to that single mission has not wavered in 73 years. It is because of our intense focus on life affirming help to footwear workers that Two Ten is now ranked high among other USA nonprofit organizations according to Charity Navigator. Our 4-star ranking . . . is a wonderful testimony of the professionalism and enthusiasm our team has to achieve new levels of excellence and impact,” said Two Ten President Neal Newman. 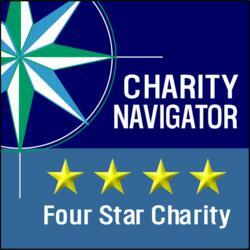 Charity Navigator evaluates about 5,500 charities each year, and only a quarter of those charities receive a four-star rating. It is estimated that Charity Navigator influenced approximately $10 billion in charitable gifts last year alone. Receiving a total of four out of four stars shows that Two Ten has adhered to best industry practices for nonprofits and maintains a fiscally responsible revenue stream for the future to ensure sustainability. Two Ten Footwear Foundation received a score of 100 percent on the accountability and transparency rating, based upon key factors such as whether records retention and donor privacy policies were in place, as well as inclusion of financials on Two Ten’s website. "On behalf of the Board, we are very pleased to see this improvement in the rating. This foundation belongs to the industry and transparency is critical to that idea. We are focused on improving the efficiency rating where we aim to ensure a higher percentage of every dollar raised goes to shoepeople helping shoepeople," said Two Ten Board Chair Jim Salzano. Charity Navigator gave Two Ten a financial score of 82 percent after looking at fundraising efficiency and expenses, as well as projected expenses and revenue growth. To view the full Charity Navigator report for Two Ten, visit http://www.charitynavigator.org and type “Two Ten Footwear Foundation” into the charity search bar. About Two Ten Footwear Foundation: Funded solely by the footwear industry, Two Ten Footwear Foundation is committed to strengthening the footwear community with financial relief, scholarships, counseling, support and information and referral services to those in need.